outstanding scholarship through five prestigious prizes. For information about the prize nomination process, see the bottom of this page. 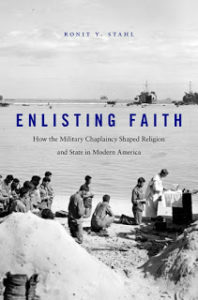 The Frank S. and Elizabeth D. Brewer Prize annually honors outstanding scholarship in the history of Christianity by a first-time author. Deadline for Nominations: March 1, 2019. Books published in 2018 are eligible. The Albert C. Outler Prize annually honors the best book, published in the prior calendar year, that illumines the diversity of global Christianity, issues of Christian unity and disunity (doctrinal, cultural, institutional), and/or the interactions between Christianity and other religions, in any period and area of the history of Christianity. 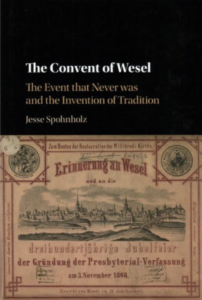 The 2018 Albert C. Outler Prize is awarded to Dr. Jesse Spohnholz, Associate Professor of History and Director of the Roots of Contemporary Issues World History Program at Washington State University, for his book The Convent of Wesel: The Event That Never Was and the Invention of Tradition (Cambridge University Press, 2017). 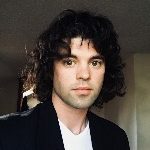 The Philip Schaff Prize annually honors the best book in the history of Christianity by a North American scholar published in the prior calendar year. Deadline for Nominations: March 1, 2019. As we transition this year to an annual Schaff award, books published in 2017 and 2018 are eligible. 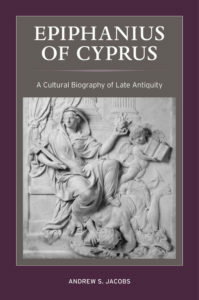 The 2017 Philip Schaff Prize is awarded to Andrew Jacobs, the Mary W. and J. Stanley Johnson Professor of Humanities at Scripps College, for his book Epiphanius of Cyprus: A Cultural Biography of Late Antiquity (University of California Press, 2016). The Jane Dempsey Douglass Prize honors the best essay on women’s role in the history of Christianity published in the previous calendar year. Deadline for Nominations: March 1, for essays published in the prior calendar year (January-December). 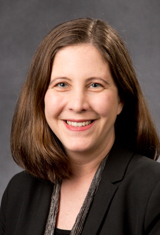 The Sidney E. Mead Prize honors the best unpublished essay by a doctoral candidate or recent graduate. Deadline for Nominations: July 1. • All works must be nominated in order to be eligible for ASCH prizes. Authors may nominate their own works. • All nominees must be active, dues-paying members of the ASCH in order to have their work reviewed by the Research and Prize Committee. • Books, essays, and articles may only be nominated once for one of the awards. Nominations will not be accepted in successive years for the same or different prizes. Please read the prize criteria carefully before nominating a work for that prize. • To nominate a book for the Schaff, Outler, or Brewer Prize, please use this linked form. • To nominate an essay for the Sidney E. Mead Prize, email a copy of the article, along with contact information for the author, to the Senior Assistant to the Editors of Church History at churchhistory@umn.edu. Nominations will be acknowledged by email by either the Office of the Executive Secretary or the Senior Assistant to the Editors. Shortly after the deadline for each prize nomination, the Executive Secretary will contact the presses that published works under consideration, with a list of addresses to which to send the works. NOTE: DO NOT SHIP ANY BOOKS TO ASCH PRIOR TO RECEIVING A LIST OF SHIPPING ADDRESSES FROM THE EXECUTIVE SECRETARY'S OFFICE. BOOKS SHIPPED PRIOR TO THIS SOLICITATION WILL NEED TO BE RE-SENT BY THEIR PUBLISHERS.